Do you have a question or comment about Glenbard District 87 school business to be forwarded to the Board of Education? Click here. After you have sent your email, the superintendent’s office will communicate with the Board, facilitate your concern and respond to you. 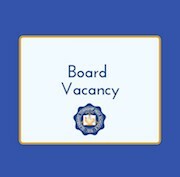 The Board of Education will appoint an individual to fill a vacancy on the seven-member board. The individual appointed to the board will serve until April 2021. 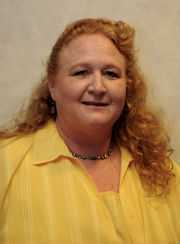 The new board member will be seated at the April 29 Board of Education meeting. The vacancy was created by the resignation of Richard Heim. Board Vice President Judith Weinstock of Glen Ellyn is a retired Glenbard West English teacher. She was elected in April 2013 and re-elected in April 2017. Weinstock earned a bachelor of arts degree in English education and master of education degree in educational administration, supervision and curriculum from the University of Illinois at Champaign-Urbana. Her son Michael and daughter Rachel attended Glenbard West. Weinstock is involved with the League of Women Voters. 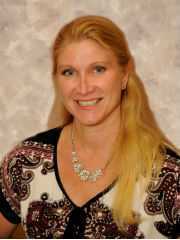 Board Parliamentarian Jennifer Jendras of Glen Ellyn is an occupational safety and health specialist with the U.S. Department of Labor O.S.H.A. Jendras was re-elected in April 2017. Jendras has a bachelor’s degree in environmental health and safety from Illinois State University and a master of public health degree from Benedictine University. Jendras has three children, two of whom attend Glenbard West. the Village of Lombard Environmental Concerns Committee. 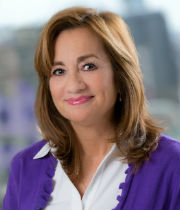 Board member Margaret DeLaRosa of Glen Ellyn was elected to the board in April 2015 and re-elected in April 2019. She and her husband Joseph McGuire have one daughter and two sons. 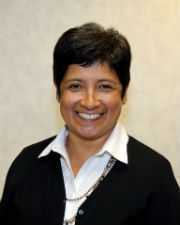 DeLaRosa has a bachelor’s degree in accounting from DePaul University. She is a business analyst for Icon Information Consultants. Prior civic involvement includes: community member for Glenbard District 87 Finance & Facility Committee, Glenbard West Booster board member, president District 41 PTA Council, president Hadley Junior High PTA and president League of Women Voters. 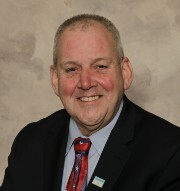 Board member Robert Friend of Lombard was elected to the board in April 2009 and re-elected in April 2013 and April 2017. Friend is a retired power mechanic with United Parcel Service. He and his wife Susan have two daughters, who are Glenbard East graduates. Friend is a member of the Lombard Area Chamber of Commerce and Industry; Tri-Town YMCA Board of Directors and the Men’s Club at First United Methodist Church of Lombard. He is a former member of the Lombard District 44 Board of Education. 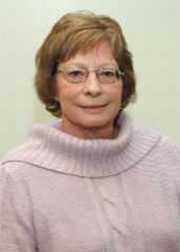 Board member Martha Mueller of Lombard was elected to the board in April 2015 and re-elected in April 2019. She is a Glenbard East graduate. Mueller retired from Illinois Bell Telephone/SBC/AT&T. Prior civic involvement includes: member of Community Emergency Response Team-CERT, Glenbard East Music and Athletic Boosters, Lombard Lilac Parade Marshall, PTA volunteer and Girl Scout leader. DuPage County Animal Shelter Foster Care. Her husband Mark and 2 daughters also graduated from Glenbard East. Her son graduated from Montini Catholic High School. Board member Mireya Vera of Lombard was appointed to the Board in December 2018 to fill a term that expires in April 2019. She is director of community relations and system director of medical interpreter services with Holy Cross Hospital Sinai Health System. Vera has a bachelor of science degree in secondary education/bilingual education from the University of Illinois, Champaign-Urbana and a master of health services administration degree from National-Louis University. Vera’s three sons are graduates of Glenbard West. She is a member of the following organizations: Southwest Regional Advisory Board Catholic Charities, Chicago; Healthy Communities Cook County (HC3); Illinois Alliance for Welcoming Healthcare; Catholic Charities, Archdiocese of Chicago Advisory Board; International Human Relations; Catholic Charities Latino Advisory Board, Chicago; Cook County Latino Advisory Council; and Strengthening Proviso Students College & Career Readiness Committee.